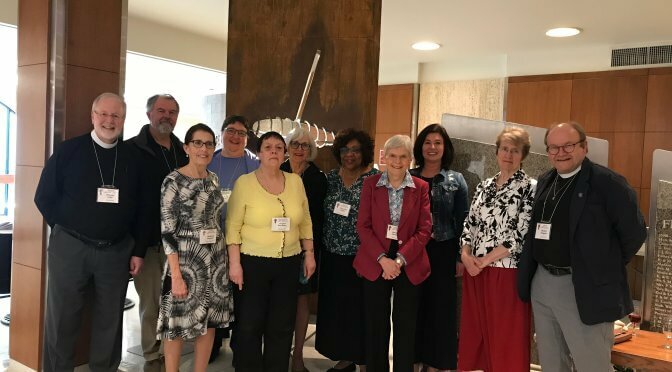 More than 90 vocational (permanent) deacons from the Anglican, Roman Catholic and Eastern Christian churches gathered for an international forum on the diaconate in Regina in mid-May. 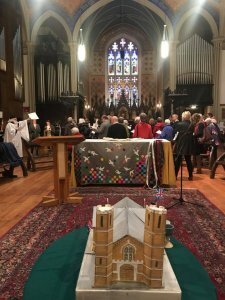 The deacons came from Scotland, England, United States and Canada – including Michael Shapcott, deacon at Church of the Holy Trinity – Trinity Square. The following worship services take place on Sunday at 10:30 am in the church. Forums follow the service and include a light lunch. They are a 45 minute discussion on a given topic or in some cases like Advent wreath making an active response to a particular subject. 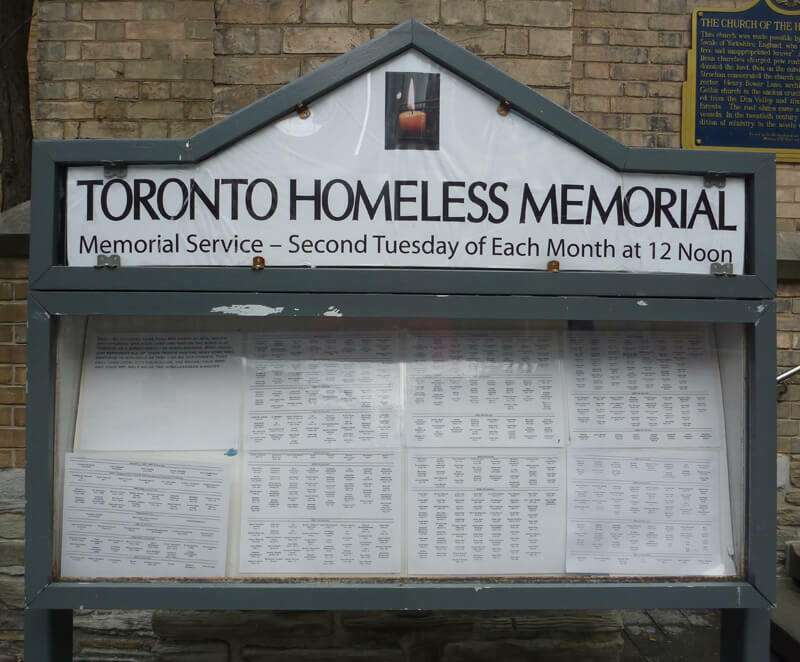 Join us to remember all those who have died and continue to die on the streets of Toronto. Remember their names and acknowledge their existence in a public way. 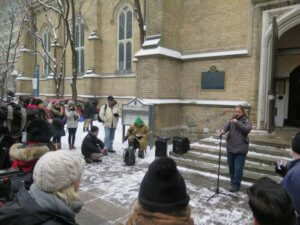 This outside gathering is followed by a light lunch inside the Church of the Holy Trinity, beside the Eaton Centre. Sings My Soul! Join Jan Plecash and Allison Piercey as they provide musical leadership for an hour of community singing and reflection. Oasis services of music and reflection take place on the last Friday of the month and provide a space to noursish the justice-seeking soul. 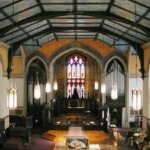 The service will be followed by a light supper and opportunity to visit. Mark your calendars for the next service on February 22! 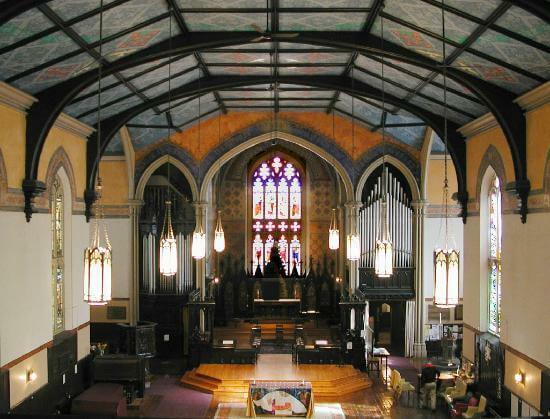 You can find these services in the Church of the Holy Trinity next to the Eaton Centre just south of Dundas between Yonge and Bay streets. 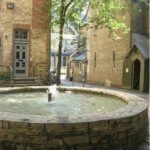 Come find a quiet centre in the heart of the city!